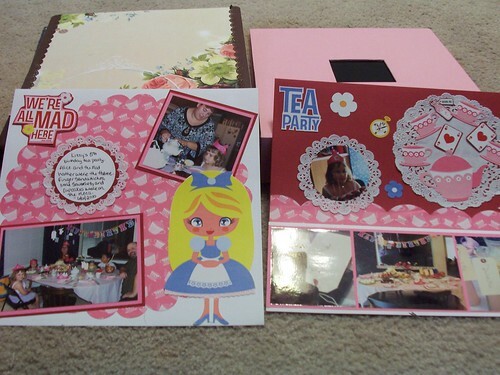 I posted a few weeks ago about our Alice in Wonderland birthday tea. 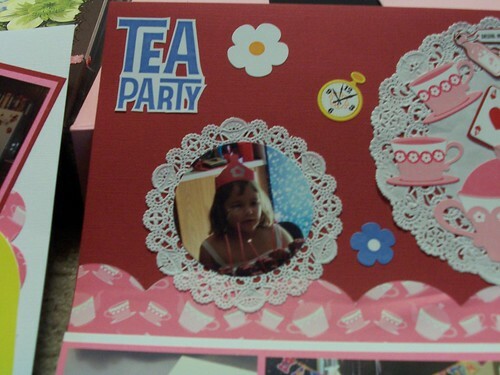 Here is the resulting layout. I was able to re-use the stickers I utilized for decorations because I put them on cardstock before I hanged them from the light fixture. I also put some of the doilies to good use. 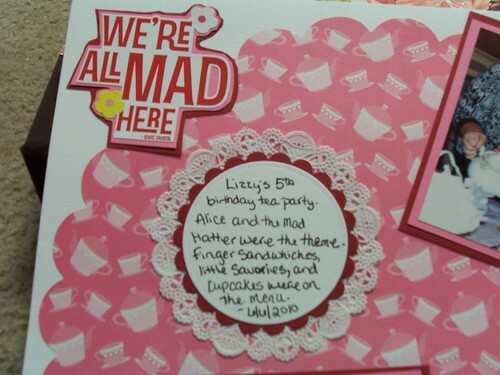 It is busier than most pages I make but Lizzy is a busy girl and The Mad Hatter is a little over the top anyway.